A primer on helicopter autopilots, with a flight report on SFIM's two-axis VFR system. Most helicopter pilots still can hear a stern instructor's voice searing into their subconscious "DON'T EVER TAKE YOUR HAND OFF THE CYCLIC!" When I first flew a helicopter with an autopilot, I was the same way. Upon engaging the autopilot, I made a large "C" around the cyclic with my fingers, ready to grab it at any second. Within a few minutes I came to recognize that the autopilot was doing just fine without my "touch", and I rested my hand on my leg. It still took a while before I reluctantly acknowledged that it actually flew better than I possibly could. 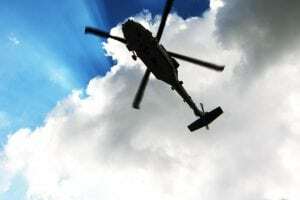 Though we might not like to acknowledge it, helicopter autopilot's stellar capabilities are clearly seen in the many UAV (Unmanned Aerial Vehicle) helicopters that most helicopter manufacturers are now flying and demonstrating, primarily for military uses. Getting a pilotless helicopter to take off vertically from the deck of a moving Navy ship, fly a reconnaissance mission and transmit real time data/photos/IR while flying, and more remarkably return to the moving ship and land on a confined deck makes for a good autopilot argument. For some, though, it may be reminiscent of the early days of the NASA space program when there was a lingering question of whether human astronauts were needed. So far, there have been no verified reports, yet, of monkeys in UAVs. Helicopter autopilots are still a rarity to most pilots. I estimate that less than one percent of rated civil helicopter pilots have ever flown a helicopter that is equipped with an autopilot. Hopefully, this article will help the remaining 99 percent of the pilots better understand how an autopilot works, and what the benefits are of flying with an autopilot. For those pilots who have flown with an autopilot-they universally like them. If they are owner-pilots, they will most probably have autopilots in their future helicopter acquisitions. 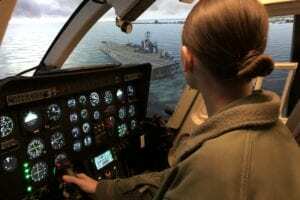 Some helicopter autopilots are certified for IFR operations, typically in more sophisticated twin-engine helicopters, and usually with a two-pilot crew. The designation SPIFR means that certification was done for a single pilot to fly the aircraft in IFR conditions, which includes testing for one-pilot workload issues. Medium sized executive and utility helicopters such as Sikorsky S-76s, Eurocopter Dauphin/EC155s, or Bell 412s or 430s typically have expensive and sophisticated autopilot systems integrated into IFR or SPIFR packages made by Honeywell-Sperry, Honeywell-Allied Signal or Sperry. The complex autopilots are usually factory installed as the aircraft is coming down the production line. Other autopilots, especially in light turbine helicopters, are often limited to "VFR-Only" operations. These VFR autopilots cost significantly less to certify with the FAA as opposed to the IFR versions, and eliminate many expensive IFR mandated airframe capabilities like dual hydraulic and electrical systems deemed by the FAA as needed for IFR certification. Also, with VFR Only autopilots, since the pilot is obligated to be in VFR conditions, an autopilot failure is not deemed to be an emergency. You can just turn it off and continue. Admittedly, I am a strong proponent of helicopter autopilots for increased safety and pilot workload reduction. In 1983, the first helicopter I purchased, a 1980 Bell 206B-3 JetRanger, was equipped with a Collins 841H autopilot. I was hooked on autopilots on the ferry flight home from Florida to Texas. The autopilot obviously provided a valuable increase in safety-it allowed me to spend more time looking "outside" the cockpit or folding a map in flight; and it noticeably reduced pilot fatigue and stress. Because the autopilot could navigate on the center of a given course-line, my flight time (and thus fuel and operating costs) were minimized. I could hold a selected altitude, a chosen airspeed, or a vertical speed by merely pushing a button. The autopilot also gave me a much safer "way-out," if inadvertent instrument conditions were encountered. Shortly after arrival at home base, I worked with the FAA and got this helicopter certified for single-pilot IFR (SPIFR) just before the deadline of SFAR 29-4 in early 1983. Since I had both a helicopter instrument rating and an instrument flight instructor rating, I flew this helicopter numerous times in actual and simulated instrument flight, including shooting coupled ILS approaches. It is a great confidence builder when you pop out of the clouds at the ILS decision height (usually about 200 ft. agl) and the autopilot has the runway centerline right in front of you. It is ironic that autopilots are common in many single-engine airplanes, probably since airplanes are deemed as inherently more stable in flight than a helicopter. Many of the early light-helicopter autopilots were derivatives of airplane autopilots, and designated as a helicopter autopilot by tagging an "H" suffix on the model number-two of the most common being the Collins 841H and the Bendix-King KAP-150H. I had a KAP-150H in the JetRanger in my 1994 around-the-world speed record flight. I would not even have attempted that flight without an autopilot. I expect it saved my life many times during marginal-weather low-altitude ocean crossings and reduced ground-reference night flying over the dark forests of Siberia. It was a key fatigue and stress reduction factor in allowing me to fly an average of about 10 flight hours daily for 24 straight days. Sadly, both the Collins 841H and Bendix-King KAP-150H autopilots stopped being manufactured by the 1990s. Another autopilot manufacturer, SFENA, which is in the U.S. Navy's fleet of Bell TH-57 instrument training helicopters, suffered the same fate. 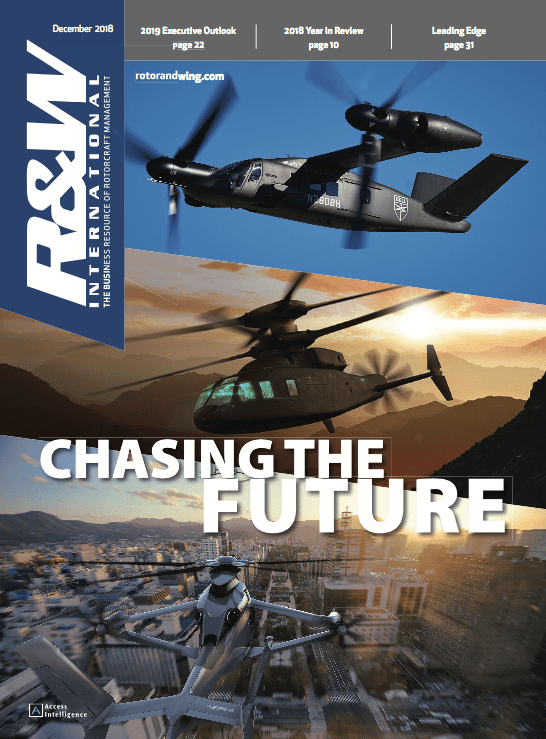 Big diversified avionics companies seem frustrated by the relatively low volumes of helicopters with autopilots and are often under pressure to shift their financial resources to higher volume/yield product lines. Once a manufacturer's production ceases, the replacement parts supply tightens, field installation and maintenance familiarity is harder to find and usually factory service/support wanes. If certified replacement parts are not available, the autopilot likely will be removed if it becomes inoperative, since many of the parts are approved in the STC (Supplemental Type Certificate) issued by the FAA. ALL IS NOT LOST! One highly experienced helicopter-autopilot company has seized the niche market-vacuum opportunity and is focused on actively developing and certifying a bevy of new autopilot systems for a variety of helicopter models. This high-tech company is SFIM Inc. in Grand Prairie, Texas. It has been in operation in Grand Prairie since 1989. SFIM Inc.'s original parent company was SFIM Industries, which was founded in 1947 to provide flight test equipment for the post-war aviation industry of France. In 1974, SFIM produced their first automatic flight control system (AFCS) for helicopters. Some 3,000 SFIM autopilot units have been installed world-wide in the Eurocopter military and civil product line-from the EC120 to the AS332 Super Puma-making SFIM the most widely used helicopter autopilot manufacturer. SFIM Industries was purchased in 1999 by SAGEM, a leader in many diversified fields of technology. In addition to autopilots, SFIM/ SAGEM manufacturers a broad line of actuators used on many airline and regional jet aircraft to extend moveable items like flaps, gear doors, or trim systems. These products are overhauled or repaired at SFIM's Texas support center in Grand Prairie, an FAA-Certified Repair Station, for the Americas. One important and unique difference in SFIM autopilots is they were designed for helicopters, rather than modifying airplane autopilots to helicopter use. Initial design approaches make a significant difference in autopilot usefulness and reliability in a helicopter. The SFIM family of autopilot systems is built around seven interconnected electronic "black boxes" (see photo) and weighs less than 50 lb. They have developed "smart" actuators that greatly increase reliability in what were the most problem-prone components of prior autopilot systems. 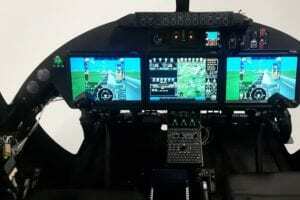 But, SFIM's autopilot experience and expertise is not limited to Eurocopter aircraft. Their knowledge is being applied to other helicopter manufacturers as well. SFIM's VFR autopilot is in about 10 percent of the 575 Bell 407s that have been made. The Bell 407 autopilot STC was developed by HAS Corporation of Mount Pleasant, Pennsylvania and was sold in 2002 to the Bell-owned Edwards and Associates in Bristol, Tennessee. 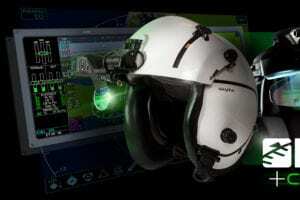 SFIM is involved in active certification efforts for autopilots for the Bell 427 (VFR and IFR), the Bell 206 series (VFR), the Erickson Air-Crane S-64 (VFR) for the Erickson Air-Crane company. 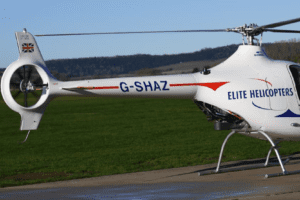 Recently, SFIM certified their (VFR) autopilot in the EC120 (see included flight report), and the EC130B-4 (VFR, likely followed by IFR) will be next Eurocopter aircraft. SFIM typically works in a cooperative effort with a helicopter manufacturer or a FAA Certified Repair Station like Heritage Aviation Ltd. of Grand Prairie, Texas; HAS Corporation; or Edwards and Associates in working through autopilot STC certification with the FAA. My experience is that once an autopilot is installed properly, they are generally trouble free. In the event a malfunction occurs, most autopilots are serviced by the autopilot manufacturer who has the appropriate test equipment and skilled technicians. SFIM provides direct service and support from its Texas facility. Since an autopilot has several components and is integrated with other aircraft systems, concise problem isolation and determination is the first step. Telephone assistance is readily available at SFIM with step-by-step problem isolation procedures. Autopilot engineer Don Shaw, a highly experienced autopilot technician, heads the technical support function at SFIM. Don will dispatch technicians for on-site assistance when needed. Don Shaw's other important role takes place during autopilot certification. He has special test equipment that is used in flight to monitor, measure, and fine-tune adjustments for an optimum autopilot operation and handling for a specific model helicopter. Another highly experienced SFIM staffer is Jake Hart, SFIM's V.P. for marketing. Jake retired as Director of Flight Operations for American Eurocopter in Grand Prairie, Texas. He understands aircraft systems and control forces and has been involved in a variety of helicopter autopilot certification programs as a pilot, starting with the initial first Single-Pilot IFR certified helicopter, an Aerospatiale Gazelle, back when the earth was still cooling. Jake is knowledgeable regarding helicopters, autopilot issues, and FAA certification processes. Because so few helicopter pilots have autopilot experience, some explanation of common autopilot terms may be helpful. 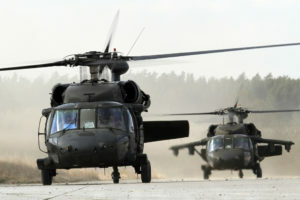 Some helicopter autopilots in larger special use aircraft, such as search and rescue (SAR) and military applications, have exotic and very expensive capabilities like auto-hover, auto-search patterns and even auto-approach capabilities. But for the bulk of civil helicopter pilots, probably a good starting point for an autopilot primer is a relatively simple VFR autopilot. As an example, the general description below applies to the SFIM Two Axis VFR Autopilot System that might be found in an EC120 or 130B4, Bell 407, or soon in a Bell 206. A helicopter can move about three axes-Pitch, Roll and Yaw. The pitch axis (moving the cyclic fore or aft) controls nose-down or nose-up movements. The roll axis (moving the cyclic left or right) controls the bank angle used for a left or right turn. The yaw axis (moving the tail rotor pedals left or right) moves the nose left or right and can keep the helicopter in trim with "ball-centered, coordinated" flight. Autopilots use servos or actuators directly connected to the controls tubes of the cyclic to input Pitch and Roll control, and to the tail rotor pitch change control tube to input Yaw control. Autopilots are described as "two axis" autopilots if they just control Pitch and Roll, and "three axis" autopilots if they also control yaw. It is less expensive to have a two-axis autopilot than a three-axis system-both from a hardware and installation basis. The pilot is responsible for tail rotor pedal movements in a two-axis system. It should also be noted that the power setting (movement of the collective stick) is not controlled by the autopilot in these smaller helicopters, but by the human pilot. SAS-Inherent in SFIM's design is a full-time stabilization augmentation system (SAS) which does what every flight instructor tries to teach his or her student: "Catch the error early and make a small correction." Operating at electronic speeds, the SAS works constantly to recognize and measure an uncommanded cyclic movement and immediately applies an opposite small counter movement. Because of its electronic speed, the ever-aware SAS does a far better job than any human pilot can, due to human reflex time and division of attention. The effect is easily seen in a hover. Each movement of the cyclic is transferred to movement in the rotor disc. When the rotor disc moves, subsequently the airframe will move-you can watch the skids in a hover and see this reaction take place. With SAS on, the helicopter pilot's hand on the cyclic moves much less often and much shorter distances. The skids stay much steadier. Landings are much smoother, since the key to smooth touchdowns is a very stable hover with the skids level. Turn the SAS off and the pilot's hand goes back to more frequent and larger movements-and touchdowns become rougher. Whether you have 100 hours or 10,000 hours-the SAS helps. Another interesting by-product of less cyclic movement and smoother hovering with SAS is a resulting smaller movement of collective and thus movement in TOT or torque indications. If your hover is unstable, you will likely be moving the collective more-which then causes you to move the pedals more for inputting anti-torque yaw forces. SAS results in fewer power changing collective movements. As a result, these TOT and torque power gauges will be more stable and you can more comfortably get closer to the operating limits. It doesn't matter so much if you are lightly loaded and have plenty of reserve power (a seemingly rare occasion in helicopterdom), but when you are hovering right at the power limit-the SAS stability helps. Force Trim-Another common SFIM feature is Force Trim, which is used when the autopilot is on. Force Trim is an electronic clutch on the cyclic control that allows you to press a button on the cyclic grip and move the cyclic to any desired position-then when the button is released the clutch engages and will keep (force) the cyclic to stay in that position. The trim position (attitude) can be adjusted by moving the four-way thumb switch on the cyclic grip. Force Trim is common on non-autopilot versions of the MD-500 series and on Vietnam-era Bell UH-1 "Hueys". Force trim takes a little getting used to, but most pilots like it since they can trim the aircraft out and release their right hand from the cyclic. The cyclic stays put, holding the attitude that it had when the button was released. Heading Mode and Navigate Mode are mutually exclusive autopilot roll commands to the cyclic. Heading Mode-With an autopilot, heading control is determined by the pilot simply rotating a selector knob on the HSI to the desired heading. The autopilot will turn right or left to the selected heading and hold that heading. No automatic correction is made by the autopilot for crosswind in heading mode, or for following a desired course line. To navigate, just as if you were flying without an autopilot, you would constantly have to monitor and adjust the heading to stay on a desired course. Or, with an autopilot, you can just hit the Navigate mode button, as described next. Navigate Mode-In order for the autopilot to stay on a desired course, correcting for crosswind components, the autopilot will have to be in navigate mode and have some input of desired course line from a navigation device, now typically a GPS receiver. Once again, the autopilot does a better job of staying on the desired course than a human pilot, since it doesn't get distracted and catches any needed changes very early and applies a small correction to return to centerline. GPS instrument approaches can be flown for practice, training, or in an emergency with the autopilot keeping you right on course. Many VFR-only autopilot owners go on and get their instrument rating-helicopter certificate to better understand instrument flying procedures and to take advantage of this contingency benefit. Airspeed Hold, Vertical Speed Select or Altitude Hold-These are mutually exclusive choices of cyclic pitch control - you can have only one function at a time engaged since these simpler VFR autopilots can't control the collective to vary power settings. Think about it-if you are in altitude hold and decide to select a slower airspeed, the collective would have to be moved to solve the aerodynamic forces in play. Below, each of these functions is described. Airspeed Hold-Selecting the Airspeed Hold button will cause the autopilot to hold the existing airspeed. Obviously, in this mode, if you want to go, say 60 kt., and still maintain a given altitude, you would have to adjust the collective to control altitude. Altitude Hold-Engaging Altitude Hold will cause the helicopter to hold the present altitude. Altitude hold manipulates pitch inputs as needed to precisely hold a given altitude, regardless of cruising power and airspeed. Altitude Preselect (optional feature)-The altitude preselect lets the pilot enter the desired altitude for level off, either in a climb or descent. As an example, on takeoff from a field elevation at sea level, the pilot might enter 2,500 feet-and engage altitude preselect. The helicopter will climb to the pre-selected altitude of 2,500 feet and smoothly level off and hold that altitude. Vertical Speed Select-On the SFIM autopilot with the optional feature, Altitude Preselect, you can control the vertical speed of the climb or descent by selecting the feet per minute you desire. If you want a gradual climb or descent of 300 - 400 feet per minute, you roll the number in, and the climb or descent will peg at that preselected rate. As described above, Altitude Preselect will level off the helicopter at the selected altitude under autopilot control. Cyclic Grip-One item most autopilot owners seem to like is the special military-looking cyclic grips used to help control the autopilot. There are numerous buttons and switches that let you control and adjust force trim, or quickly disconnect the autopilot with the touch of a button. One of my favorite mementos is a molded brass autopilot cyclic grip mounted on a small stand I keep on my desk. Annuciator Panels-Lastly, autopilots have some annuciator panels and lights to confirm the status and selected modes of the autopilot. The SFIM unit runs a comprehensive diagnostic test when the unit is turned on, and is constantly monitoring the system while in operation. Switchology-Operating an autopilot, like learning to operate a GPS, requires that you understand how the system functions and master the various choices of button and switch pushing to work it properly. The SFIM system is not complicated, and the flight manual supplement offers good explanation of the various modes. Autopilots are valuable and beneficial aids for helicopter operations. Safety enhancement and stress reduction comes with an autopilot. 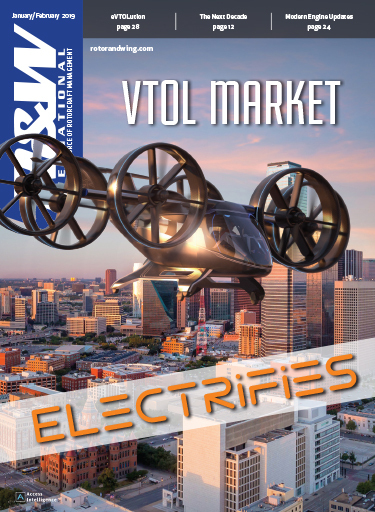 SFIM has the proven autopilot experience and the focused attention on this market opportunity. I believe they will continue to expand their presence by offering many reliable choices to helicopter owners. For more details, SFIM can be contacted at 972-314-3600 or online at www.sfiminc.com. Ron Bower is a dual ATP rated pilot with 8,500 hr. of accident-free flying. He has six CFI ratings including helicopter and helicopter instruments. He flew Bell UH-1B gunships in Vietnam in 1964-65, and holds the around-the-world helicopter speed records for both easterly and westerly directions, set in 1994 and 1996. He was selected as HAI's Pilot of the Year in 1995. He has made five ocean crossings in helicopters, and has flown in more than 35 countries. 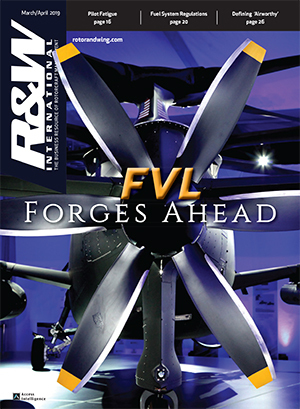 If you have any question or comments about this article, feel free to contact Ron at ron@bowerhelicopter.com. I traveled to Bloomsburg, Pennsylvania to fly the SFIM autopilot in the popular Eurocopter EC120 Colibri. The EC120 owner is Paul R. "Pete" Eyerly III, an affable Pennsylvania publisher and newspaper owner. Jake Hart, SFIM's vice president for marketing-helicopter products, accompanied us. Jake was very involved in the test flying and certification of the autopilot for the EC120 and provided me, in advance, with the flight manual supplement. Pete's immaculate EC120, N123PE, is his second autopilot equipped helicopter- the first being an MD-500. Pete flew the MD-500 on an aerial pictorial following of the Lewis and Clark expedition path from Pennsylvania to the West Coast. He published an interesting book titled "From the Eye of the Eagle" showing the current-day look of that important trail, available on Amazon.com. Pete's EC120 is ideally equipped with Garmin 430 and 530 GPSs, a Sandel display, and traffic avoidance system. I had flown a similar SFIM autopilot system in the Bell 407. Like the Bell 407 flight, the autopilot performed flawlessly during the 1.3-hr. flight in the EC120 with Pete. After a careful pre-flight and briefing by Pete, we climbed aboard and he followed a checklist to fire-up the EC120. Once the start was completed, Pete ran down the brief autopilot checklist and performed the pre-takeoff test and reviewed the advisory panel. The annuciators and lights are easy to see, use, and interpret. Once airborne, we checked all the functions and modes, including heading, altitude and airspeed hold, and engaged the altitude preselect, setting a 500-ft. per minute rate of climb to a level off altitude of 2,500 ft.
As we approached the selected altitude, the autopilot began a smooth nose-lowering level out and we stabilized at 2,500 ft. I flew the aircraft in some general air work using the autopilot and found it to be easy to use, smooth and positive in controlling the aircraft. We then contacted Bloomsburg and shot two "school-book" GPS instrument approaches. Pete understands the system well, so he let the autopilot do most of the work and used the altitude preselect for the descent and level off at the MDA (minimum descent altitude). He made minor power changes with the collective to control approach speed during the descent. At missed approach point, Pete executed the published missed approach. Pete had good control of the aircraft and took advantage of the force trim and SAS (Stability Augmentation System) features when appropriate. Pete was scheduled to take his check ride for a helicopter instrument rating the following day. He passed with flying colors. As an instrument flight instructor, in training flights simulating entering inadvertent IFR flight into clouds, I would ask the student to look down into their lap and tell me which way we were turning when I asked. I found I could make any pilot tell me we were banking left when we were actually banking right, based on what he or she felt. Hold your hands up-left hand in a left bank (real) and the right hand in a right bank (felt) and see what the correcting maneuver (putting in left bank) would do if you relied on your feelings and how that quickly compounds the disorientation and problems. At a 60-deg. bank, the helicopter weighs twice as much due to G-forces as when in level flight. Our kinesthetic feelings lie to us without a visual reference to the horizon (real or artificial). The VFR autopilot can be a resource in buying some valuable time to sort out the situation if inadvertent IFR weather is encountered. Pete Eyerly has an edge with the SFIM autopilot system and the subsequent instrument training that he has taken. Down the road, I expect Pete's next helicopter will have an autopilot in it, as well. Nice work, Pete.